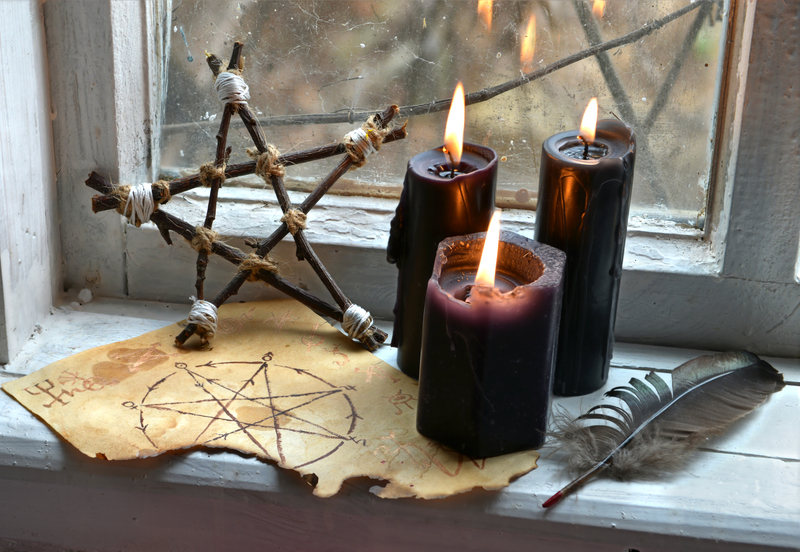 Neopagan supporters and detractors of the U.S. presidency of Donald Trump are using magical rituals to either bless or curse the new administration and their political opponents. While Neopagan groups have long joined magic with politics, this marriage of mysticism with activism was most strongly evident in the months after Trump’s election in 2016, drawing criticism from some quarters of the American pagan community, according to scholars at a session on Neopaganism and the election at the conference of the American Academy of Religion (AAR) in Boston, which was attended by Religioscope. 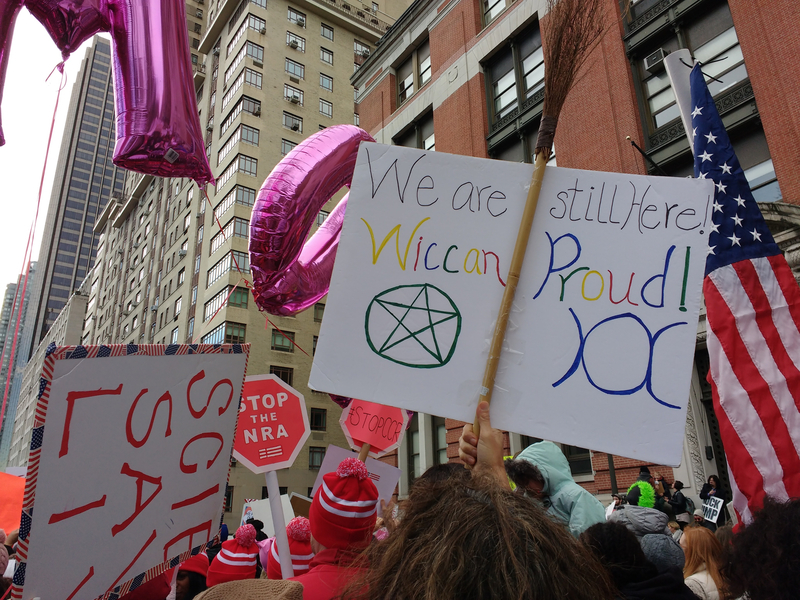 The scenario of Wiccan practitioners, or “witches,” casting spells, known as “binding rituals,” to thwart the Trump administration and its policies has taken place at many of the protest events during and after the 2016 election. A paper presented by Peg Aloi (State University of New York at New Paltz) looked at the activist group W.I.T.C.H. (Women’s International Troublemaker Conspiracy From Hell, among other acronyms) and a broader “bind Trump” movement , which uses home-grown rituals of “magical resistance” against the president, such as the use of tarot cards and casting spells using orange candles (to symbolize Trump’s hair). W.I.T.C.H. actually started in the late 1960s as performance art and a feminist protest group and has since adopted more Wiccan elements. Its latest incarnation has been based around anonymous protests using magical ceremonies and has organized covens in several American cities. In a recent interview with Religioscope, Sabina Magliocco, an anthropologist at the University of British Columbia in Canada, and a panelist at the AAR session, said that if anything, Neopagan activism against the Trump administration has grown and diversified since the election. Today binding rituals are held not only against Trump but also against such associated figures as Jared Kushner and U.S. Attorney General Jeff Sessions. There are now also binding rituals to protect those who might be affected by actions of the Trump administration, such as the young immigrants (known as “dreamer”) who were let into the U.S. under a special agreement that Trump is now promising to strictly enforce by sending them back to their home countries. 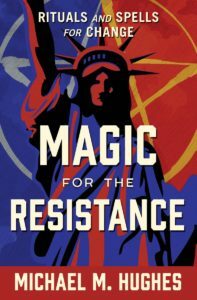 Neopagan activists against Trump have started a popular Facebook page, called Magical Resistance (now: Bind Trump), and one of their leaders, Michael Hughes, is the author of a forthcoming book on the movement and its goals. Participants in the movement have recently created their own “sigil,” consisting of numbers and letters which is used in rituals as a symbolic representation of the magician’s desired outcome, according to Magliocco. She added that the binding protests have also drawn in non-Pagans who are attracted to the rituals and share the movement’s goals of attacking the Trump administration. The most extreme and controversial of Neopagan activists are those groups and leaders who have sought to counteract the anti-Trump witch activists and to support Trump with their magic. Leading these right-wing Neopagans and Wiccans are David Griffin, Leslie McQuade, and the Hermetic Order of the Golden Dawn, as well as such new groups as the Cult of Kek and Aristocrats of the Soul, which have launched magical counterattacks against the Trump attackers and carrying out their own rituals to protect the president. Griffin and McQuade call on all believers to combat what they call the “black magical terrorists” targeting Trump. There is some intersection between these right-wing groups and what has been called the “alt-right,” mainly in the way they critique globalization and use social media and blend Internet “memes,” such as Pepe the Frog, with magical themes, according to another paper presented at the AAR by Egil Asprem of Stockholm University. He added that the Neopagan use of rituals is a case of generating “collective effervescence” in the face of diminishing trust in the American establishment, pointing to a similar revival of magical interest and activity during the collapse of the Soviet Union in the late 1980s. Magliocco concluded that the Neopagan activists against Trump are drawing criticism from members of the wider Neopagan community. There is the concern that the ritual activists are practicing “negative magic” that may come back and target them. Critics also point to the lack of required secrecy in these rituals, evident in the activists open use of social media, such as Facebook.